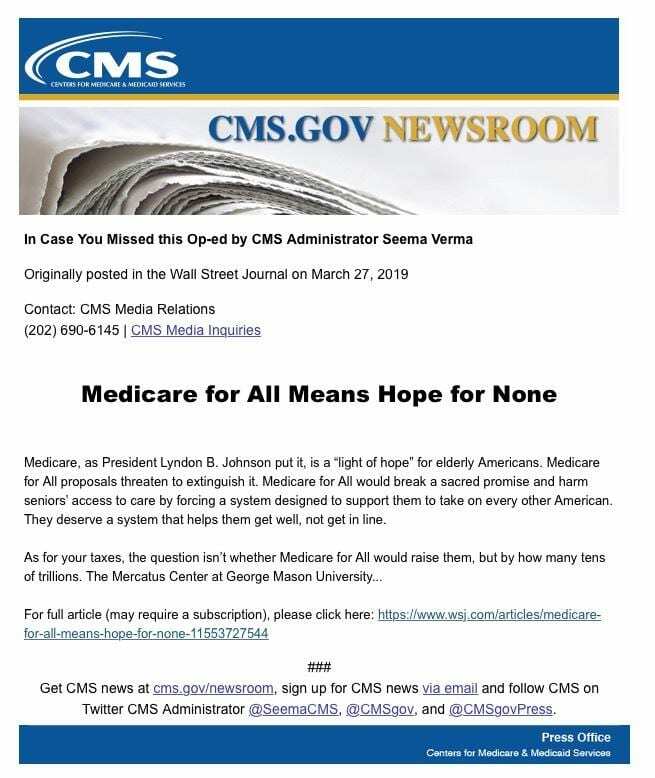 Apparently it is the position of CMS that they will cut services to seniors if they have to process non-seniors. Is the GOP really going to go with “grandpa must die so you may live”? I am not reading it that way. 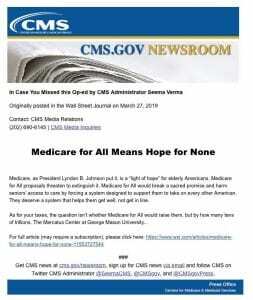 What I am reading is Repubs and CMS are saying Medicare for All would result in the breaking of Medicare and less care for seniors. Go here https://www.healthmarkets.com/resources/health-insurance/trumpcare-news-updates/ Healthcare Reform News Updates and do a search for Seniors. There are 18 mentions of seniors and what is being proposed. PS. I can not answer your question directly. Know that touching SS and Medicare is still the live wire today as it was in the past. Most seniors do not know Medicare is funded from General Taxes too.